Cucumbers are a cool, crunchy treat that usually finds it way to our dinner plate as a pickle. Cukes can also be the main ingredient in plenty of delicious salads. Harvest or buy your cukes when they are young. Then, the skins are thin enough not to have to peel-unless you want to. Check out our favorite recipes featuring cucumbers as the main star. They are all terrific and perfect for a hot summer night's meal. 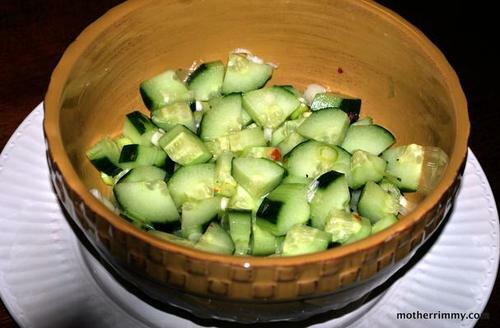 Green onion and chili garlic sauce add a nice bite to this sweet recipe for cool and refreshing Asian cucumber salad. Try serving it alongside chicken or pork. To be honest, the flavor is so addictive, you may find yourself eating it by the light of the fridge, late at night. Or is that just us? 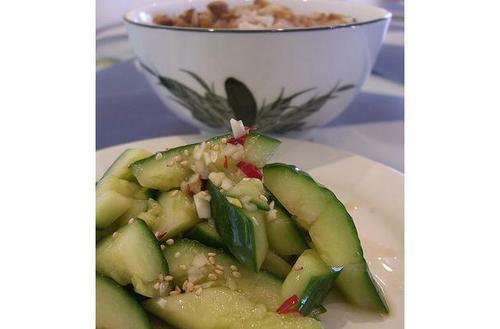 This Chinese cucumber salad gets its inspiration from soy sauce and freshly chopped ginger. Add Sesame oil, and you have true Asian flavor. Bright and tasty, this is one way to get your family try new things. So awesome! 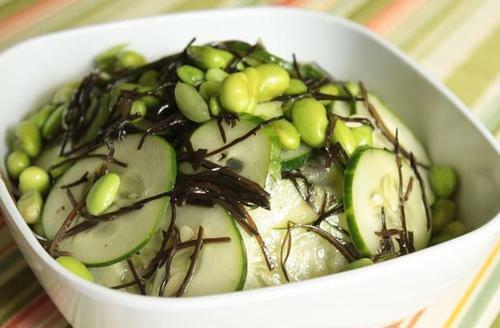 This recipe for arame edamame cucumber salad is the perfect vegetarian side dish. Arame is a species of kelp (seaweed) used in threads to add saltiness to a dish. Edamame is another food that gets missed too often. These mild beans are tasty and satisfying. The whole salad is loaded with both flavor and nutrition, your family will love it! 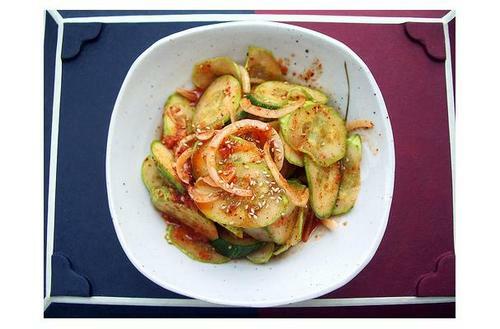 Korean spicy cucumber salad is a perfect marriage of cucumber and spicy chili. The cucumbers make the chili paste just tame enough, and the entire salad is a mouthwatering experience. 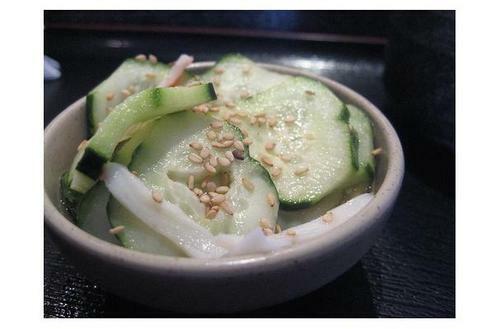 This Japanese cucumber salad recipe is similar to the others but mixes up the sauces and vinegar. Add strips of crab meat for more flavor. Toss it over cold noodles for a complete Japanese treat. It's a simple, tasty dish you will enjoy for a cool side dish.